With the winter becoming a distant memory, your snowmobile will follow suit. With the departure of winter, people usually pack their snow mobiles away. The fun time when you got to pull over the powder is now over. Don’t be hard done by it though, since it’s time to bring out the ATVs! The ATV is a vehicle that allows you to have fun all year round, whatever the temperature or the conditions might be. Hold on though, before you hit the tails with your ATV, make sure you take a look at these tune up tips. However, please note that if you are new to this vehicle, it is best that you take help from a professional mechanic when following these tips. If you have prior experience with this vehicle, get the work started right now! The first thing to do in this vehicle is for you to check the oil. If the oil has turned all gooey and dark, it is time for your vehicle to have an oil change. The easiest way to do this is to find the drain plug at the bottom of the crankcase, open it, and drain the oil. Once that has been done, fill the vehicle up with new and fresh oil. 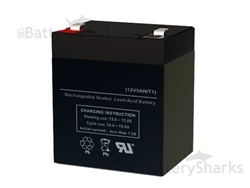 Beware of your ATV battery! Before you head for the woods or some other adventure packed ride make sure you have checked your ATV battery and that it is fully charged. You don’t want to run out of power in the middle of the ride now do you? Ignition wires are important, keep an eye on them and make sure they are in a health condition. Any apprehension of damage and it is best to change them. Make sure before you start your ride you have checked to see if you spark plugs are in order. If they seem run down or dirty on inspection, it is time for them to be changed. Inspect the gas filter and check to see the state it has been in. The gas filter shouldn’t be inspected alone, make sure you also take a look at the fuel valve, the cap lines for the fuel and the leaks or crimps in the lines if any. Check the strength of the coolant, make sure you examine the hoses and are able to fill the level. The dark can be your greatest enemy while driving. To avoid dark driving, make sure you inspect your head laps, tail lamps, running and brake lamps and their switches to ensure proper functionality. 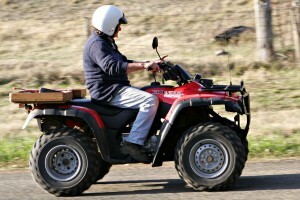 One of the most important things to do in this regard is to check the ATV for damages. If there are any issues, damages or problem with the ATV you aren’t convinced you can fix, take it to a professional for further detailed inspection. Inspection of your ATV before a ride is extremely important. This is because more often than not, ATVs are used in terrains that are at a distance from the big cities and this can spell trouble for the rider of a faulty ATV in a remote area. 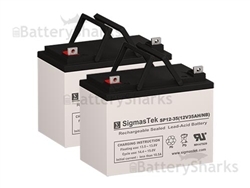 If you are interested in purchasing AGM type batteries for your ATV, please check out our selection of powersports batteries. 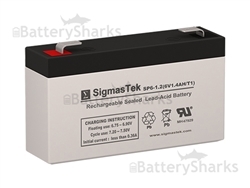 There you can find quality replacements for the most popular brands and models such as the YTX12-BS, YTX14-BS and YTX14AH-BS battery by Yuasa.